The sad remains of N138SR (formerly VH-EBB) at Port Harcourt, Nigeria on 14 April 2005. The aircraft was damaged on 28 August 1998 by an arson attack on the cockpit while the aircraft was parked at Port Harcourt. The damage was not discovered until 5 September 1998 when the Comtran crew arrived to ferry the aircraft back to the USA. 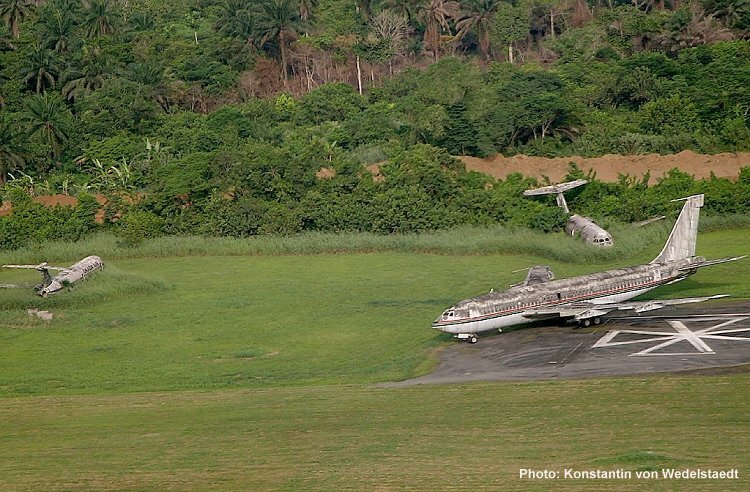 The other two abandoned aircraft are BAC 111s.